cat tools « Translator T.O. Meet Gwenydd Jones, a freelance Spanish to English translator and professional trainer. She has two MAs, the first in Translation Studies and the second in Legal Translation, and the DipTrans (CIOL). With 10 years’ experience, Gwenydd specializes in business, marketing and legal translation. She is also a copywriter. Learn more about Gwenydd and some of the courses she offers by checking out her blog, translatorstudio.co.uk. I don’t know about you, but I spend much of my life going from one translation project to the next. I want to learn about translation technology, but am always putting it off. Not my idea of fun. For me, m achine translation is like the hologrammatic elephant in my home office. Last June, I had to prepare a talk for the ProZ.com conference in Stockholm. Finally, an opportunity to confront the elephant. I set out to find answers to my questions, hoping to put my worries to rest. I wanted to find out: what is going on with machine translation? Is it a real threat to human translators? And if it is, what should we be doing about it? In my webinar Your Essential Machine Translation Briefing, on 8 Feb, I’ll share what I found out. From the perspective of a technically challenged freelancer. In the first half, I’ll give you a summary of what is currently going on in machine translation. Then, I’ll share the strategies I’m employing in my work, to make sure I develop alongside automated translation. See you there! In the meantime, here are a few things freelance translators need to know about machine translation. Sometimes translators get these terms muddled up, which is understandable. A computer-assisted translation (CAT) tool is an application where you can write your translations. It uses translation memories (TMs) to keep a record of all your past work. Don’t confuse that with a machine translation (MT) engine. An MT engine is an application that automatically translates a text. You can integrate MT with your CAT tool, but they are two different pieces of software. They have different functions. Since computers rely on data and rules, the more predictable a text, the better the output will likely be. Formulaic and simple texts work well. Creative and complex texts don’t. Life sciences, finance, IT and other technical genres lend themselves to machine translation. But while financial accounts are formulaic, an accountant’s blog is far less predictable. With the second, you may well be faster on your own, particularly if you use voice recognition. Translators and companies that are serious about machine translation aren’t using Google Translate. They get their own machine translation engines and train them for a specific domain. They do this by inputting their translation memories. After that, they input more data on an ongoing basis, so the machine keeps adapting to them. This is how they get more accurate output. Then they post edit it and feed the final translation back into the machine. With a suitable text type, this helps them finish the translation faster than if they did it from scratch. The world of machine translation is starting to harness deep learning. This is based on neural networks. Neural networks have lots of uses in artificial intelligence. Language processing is one of them. So, computer scientists can use them to improve machine translation. Companies that are using neural machine translation include: Google, Microsoft and Facebook. Google recently announced that it is using neural machine translation in Google Translate. For now, it is limited to certain language combinations. They rolled it out with a total of eight language pairs. All are to and from English, combined with French, German, Spanish, Portuguese, Chinese, Japanese, Korean and Turkish. It’s free, but remember the data is public, so you can’t use it if you’ve signed a confidentiality agreement. Google Translate isn’t customised (see point 3), but it has lots of data. The jury is still out on how good the updated tool is. You may not realise that companies that develop machine translation engines sell subscriptions. You can even pay to train your own engine using your translation memories. Post-editing isn’t just about an agency sending you texts. You can learn how to post edit, get a customised engine and then do whatever you want with it. The profits and control will be all yours. If you want to try machine translation, you have to go shopping for a provider. The different companies that offer machine translation solutions (including SDL, Lilt and Systran) publish data to show how effective their software is. It’s all quite technical and confusing. And it can be biased. You can go to TAUS and the eMpTy Pages blog, for unbiased information. Perhaps, like me, you prefer to see for yourself. One way of doing this is to observe yourself for a month in your work, and see how many words you average per hour. Then, pick whichever machine translation software takes your fancy and use it for a month. Track your turnover to see whether your hourly average gets faster or not. Then you’ll have your own data to tell you whether it’s worth continuing to invest. Improvements in machine translation don’t mean we’re all out of a job. But, it may mean our jobs will start to change. Commercial translation is often about getting an acceptable translation as quickly as possible. You can complete some texts faster by using customised machine translation and post-editing. And sometimes that is what the customer wants. As machine translation continues to get better, we can expect demand for post-editing to grow. While machine translation has a long history, it’s still being consolidated in our industry. Lots of translators and translation agencies are struggling to get their heads around it. Some translators are concerned that post-editing means lower pay. Certainly, ruthless agencies will try to use it as another way of driving prices down. But, that doesn’t mean smart translators can’t use it to increase their profitability. Why shouldn’t we earn more on the days we work as post editors? If we learn about it, and talk about it, we’ll soon know how we want to price it. We’ll know when to refuse a job. Translators can choose to accept post-editing jobs only when they’re going to make more money for their time. We don’t all have to go running for the hills before the robots attack. Becoming a post editor is just one option open to us. If you like the idea of it, you could post edit for agencies. But, you could also subscribe to your own engine and use it in your work. If you don’t want to post edit, there are a host of specialisation and diversification options. Whatever path you end up choosing, now is a good time to get informed and come up with a plan. If major changes do take place in our industry, I for one will be ready for them. Ready to adapt. To continue being the one who controls my career. To protect my rates, serve the direct customer competitively, and understand the jobs (and prices) agencies offer me. I encourage you to join me at my webinar on 8 Feb, Your Essential Machine Translation Briefing. I’ll share everything I’ve found out about machine translation, in simple, unbiased terms. I’ll also tell you the strategies I’ve come up with, and am now employing in my work. Sign up here! Faltan pocos días para el seminario de ProZ.com para estudiantes de traducción y traductores noveles que tendrá lugar el día 16 de agosto en la Ciudad de La Plata, Provincia de Buenos Aires. Si no te anotaste, todavía estás a tiempo, quedan algunos lugares. Para anotarte, visitá la página del evento y hacé clic en “Sign up now”. De la mano de Haydee Incicco, los participantes del evento aprenderán conceptos básicos sobre las herramientas de traducción asistida: segmentación, memorias de traducción, correspondencia entre segmentos (palabras nuevas, “fuzzy” y exactas), análisis de proyectos (para cotización y estimación de esfuerzo) y alineación de documentos. Su ponencia incluye un breve repaso a los programas más usados y sus interfaces, con Word, en plataformas independientes y en la nube. Haydee Incicco es traductora de inglés a español. 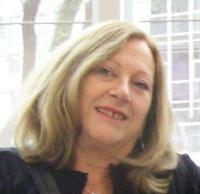 Es egresada de la Universidad Nacional de La Plata y se ha desempeñado como profesora de inglés en la Universidad Nacional de Mar del Plata y en institutos privados. Su carrera como traductora técnica comenzó en 1973 en un astillero argentino. Trabajó tres años en Londres, Inglaterra, para una institución argentina. Desde 1999 se dedica exclusivamente a las traducciones independientes. Desde 2001 trabaja con diversas herramientas de traducción asistida y se esfuerza en seguir aprendiendo sobre herramientas y métodos que la ayuden a mejorar la productividad y la calidad de su trabajo. El seminario tendrá lugar el día sábado 16 de agosto de 2014 en la Ciudad de La Plata, Buenos Aires, Argentina. Para ver el programa completo, hacé clic aquí. Para abonar el seminario y asegurarte tu lugar, hacé clic aquí. Survey on tech trends in translation, your input is needed! Business issues | Suddenly stopped receiving work | Aiming higher? KudoZ | Feature suggestion: Individual KudoZ efficiency metric | Throw out the baby, keep the bathwater! KudoZ | Feature suggestion: Individual KudoZ efficiency metric | Decay? Yikes! "T.O." stands for "time out" and "tools and opportunities" — reference to the ProZ.com mission of providing tools and opportunities for translation professionals. Are you a professional translator or interpreter? 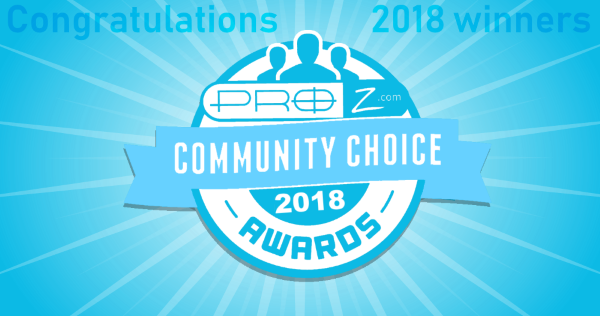 Join the web's largest community of language professionals at ProZ.com.